Raw potential and talent will always help, but it will only ever get you so far. At UP Hong Kong we aim to help every client, whatever their goal, to fulfill their full potential. 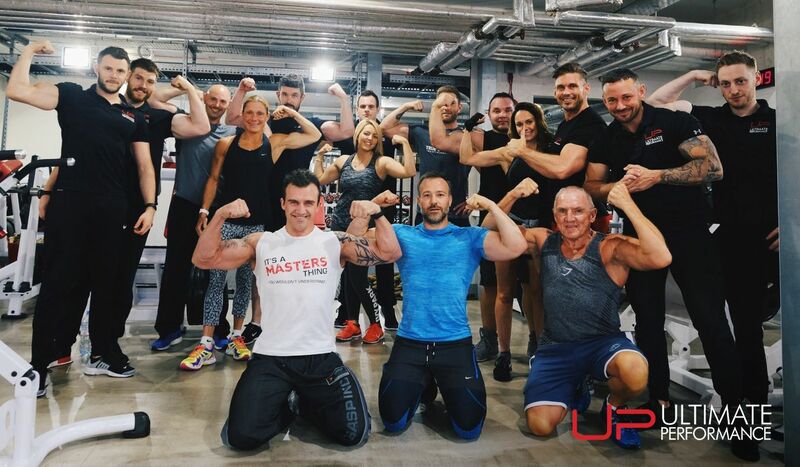 We don’t do this by being “jack of all trades” rather we have specialists in a range of disciplines and with an array of different approaches, all so that we try to achieve the perfect fit between personal trainer and client. Our primary specialization, however, and unsurprisingly the area where I have made my own name, is in the realm of what we call body composition – fat loss and muscle building to the uninitiated. Our job is to take the raw material that our clients present us with, and help them to take control over their bodies, their health, and their lifestyles to achieve each person’s unique goal. In order to get a result each and every time, we focus our attention on a huge range of variables. What you must realise is that what you do in the gym merely stimulates most of the potential results you can achieve whilst working with a personal trainer. It is what you outside of the gym that counts. However, if altering the shape of your body is the primary goal, then we must also recognize that effective resistance training is the key to unlocking your own raw potential. Indeed, the quality of your training efforts and environment are why we have put so much effort into developing UP Hong Kong, and why it has been hailed by many in the relatively raw personal training industry of Asia, as the best personal training gym in the region. One of the most important personal training variables that we can apply is variation. Too many untried and raw personal trainers get lost in the notion that they need to come up with funky exercises or ridiculous and off the wall theories in order to keep their clients interested and “entertained”. At UP Hong Kong we are not “entertrainers”, we care about results and do what is needed. Mixing your training up is essential, but it needs to be done with a logical plan in mind, and you should always but always be progressing. In fact, I will go as far as to say that if your gym performance is not progressing in some measurable way week on week, and you are healthy, eat sensibly, and do not live a dissolute lifestyle, then sack your personal trainer! Even experienced trainees can benefit from intelligently periodised UP methodologies. Here are photographs of Henry taken just 4 weeks apart! 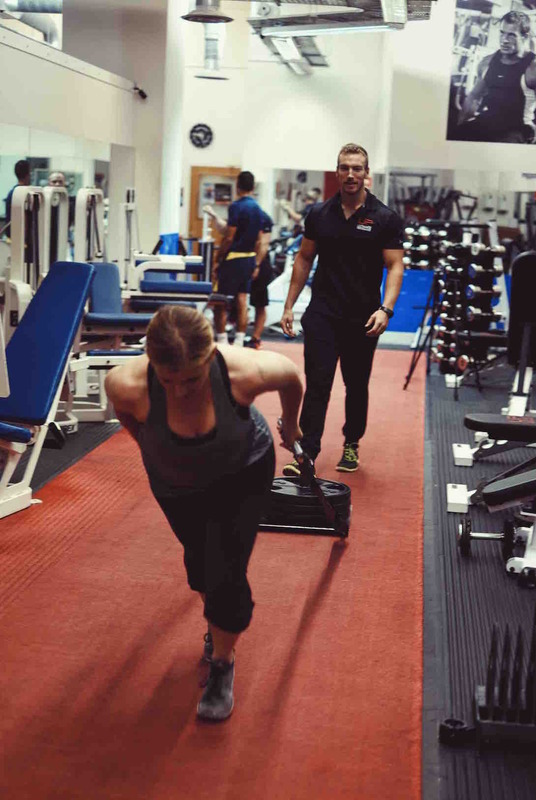 What follows are a few words from one of our very best London personal trainers, Sean Murphy, on his experience with applying variation, dating back to the time he was a UP Junior and young, raw personal trainer. Albert Einstein defined insanity as doing the same thing over and over again and expecting different results. If this is the case, why are people who go to the gym and perform the same workout again and again, lifting the same weights in the same order for the same number of repetitions and sets, shocked at the lack of progress they are making? In a meeting I had with Nick Mitchell back when I was more junior, we discussed programme design and exercise selection for a 12 week hypertrophy protocol. Now Nick Mitchell knows a thing or two about building muscle so I was eager to ask as many questions that I could think of and soak up all of his wisdom. One major point that I took away from that meeting was importance of variation within a programme. In a gym, we are to a certain extent limited by the number of exercises we can do unless we verge into the ridiculous and start using Bosu balls and fancy looking, but wholly ineffective “functional” movements. However, there are a number of ways that we can sensibly vary an exercise so long as the gym is properly equipped as is the case with all the UP personal training gyms. For example, a standard chest press can be performed in a number of different ways: dumbbell, barbell, thick barbell, varying hand position, varying inclination, using a cable, machine, band, chain, I could go on but I hope you get the point. By varying the exercises you will stress different parts of the muscle, which will stimulate new adaptation and growth and lead to constant progression. Despite what many training gurus may say there is no perfect exercise or training programme. Every exercise and programme will work to a certain degree and for a certain period of time. However, a programme will only lead to progress for a limited amount of time before you will plateau and start witnessing diminishing returns. Charles Poliquin, the iconic Olympic Strength & Conditioning coach who endorses UP as being the premier personal training team in the world, once wrote that every programme has its weaknesses and that after a certain period of following a programme your body will adopt these weaknesses. 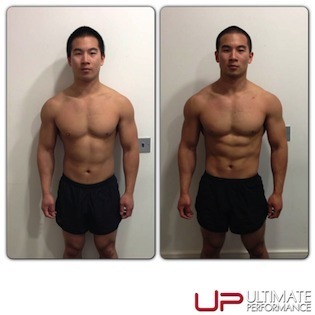 Poliquin advises the use of variation and cycling of programmes after a session has been completed just six times. Of course the variation of sessions will be dependent on your training age and your training goals, but the advice of Poliquin is hard to argue with. By varying your programmes and exercise selections your body will be forced to adapt to new stresses, which will lead to consistent progress. Alternatively, you could continue on with your insanity and just keep spinning those wheels! 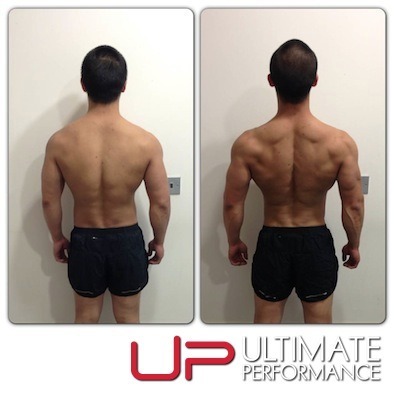 Here is Henry’s back after just 4 weeks of UP Personal Training – we all said “wow!” when we saw these pics. If you have any questions on how to implement training variation please fire away in the comments section below.